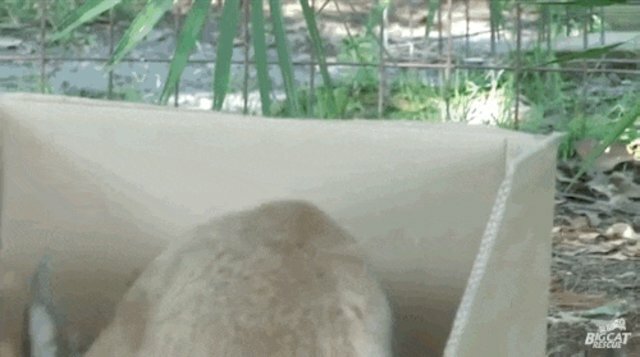 Some pet cats just can't get enough of boxes-1167316366.html">cardboard boxes. They sleep in them, play in them and do their best to fit in them - no matter how small they are. 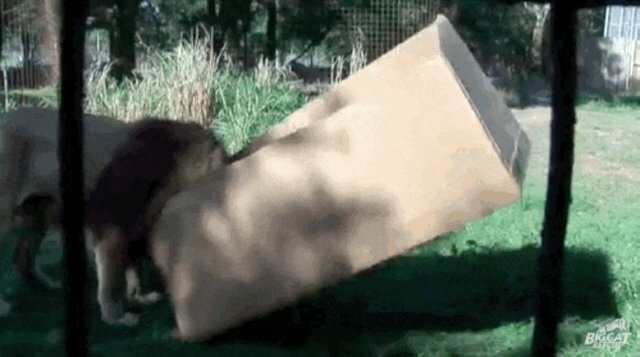 But do lions and tiger love cardboard boxes as much as their domestic counterparts do? The people at Florida sanctuary Big Cat Rescue (BCR) decided to find out. 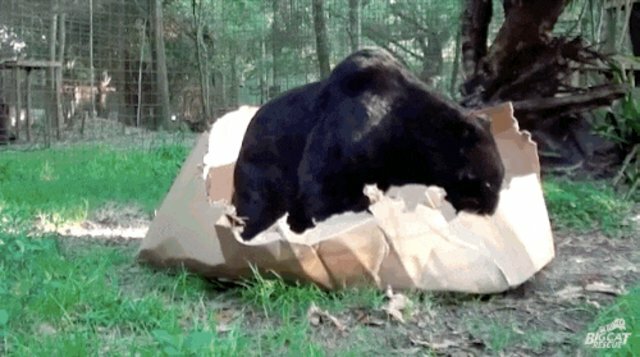 So they gave several of their feline charges their own cardboard boxes to play with - and lucky for us, the results were magical. 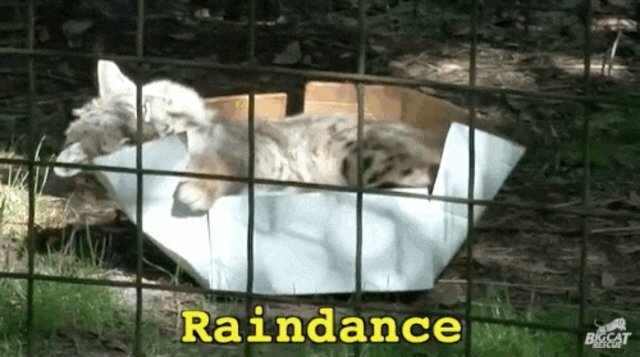 ... and this bobcat who just gets it. ... while the caracal wins for most elegant. 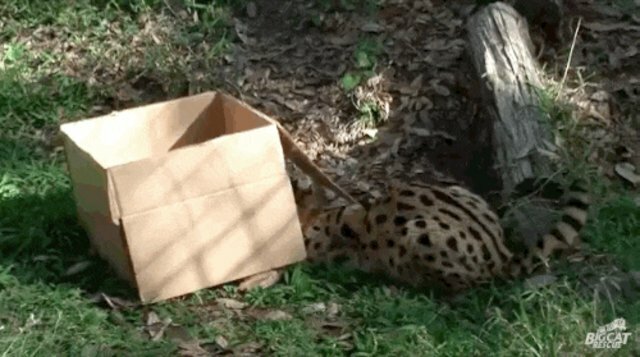 The serval just has it all a bit backwards. 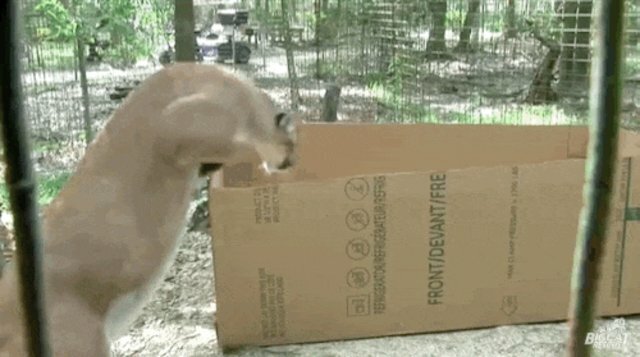 ... while the mountain lions jump right in, and are happy to share. 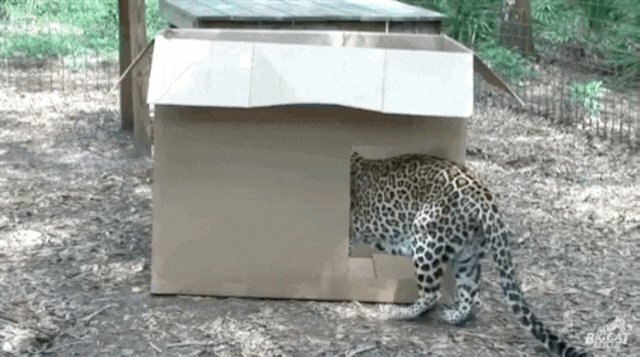 So it turns out cardboard boxes are a magnet for all cat species. 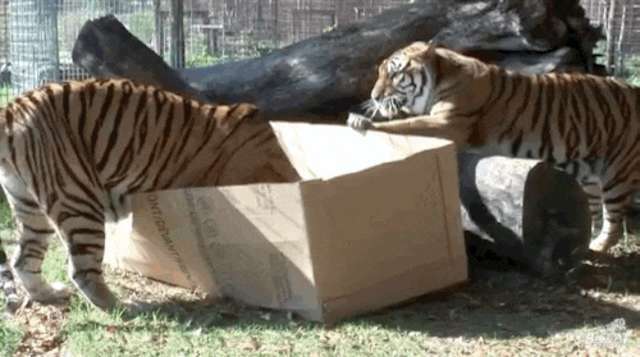 Of course, considering the strength of these cats, the boxes didn't last too long - but that's half the fun, right? Watch below for the cats' full reaction to their latest toy. All of these cats were rescued, many from abusive and neglectful backgrounds. If you'd like to help BCR continue to care for them and the other cats they take in, you can make a donation here.